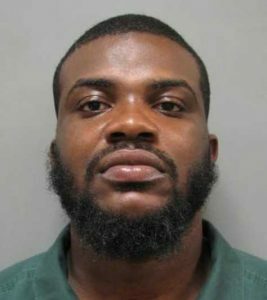 Detectives from the 1st District Investigative Section have charged Jean Auguste, age 27, of Lanham, and Montgomery County – Department of Liquor Control (DLC) employee Kelvin Eugene Snowden Junior, age 31, of Gaithersburg, with the theft of approximately $21,769.00 worth of alcohol from box trucks parked at the Department of Liquor Control warehouse on Edison Park Drive in Gaithersburg. In February 2017, the DLC reported to the Police Department that an unknown individual(s) had stolen alcohol from their trucks on February 14 and February 24, 2017. Detectives determined that a suspect entered the facility grounds by climbing over the lot’s perimeter fence when the DLC was closed and gates secured. The suspect broke the security seal on multiple trucks, entered the cargo areas, and stole boxes of alcohol. The suspect was recorded on DLC video surveillance. As the investigation proceeded, six additional thefts occurred at the DLC storage facility: On April 23, April 30, May 7, May 16, May 26, and May 28. During the May 28 theft, security personnel at the DLC observed the suspect on video surveillance and immediately called police. A 1st District midnight shift officer, who had been briefed by detectives regarding the occurrence of the thefts, responded to the area and observed a Chevrolet Suburban parked in the far corner of the Lakelands Park Middle School basketball court. Lakelands Park Middle School, located at 1200 Main Street, is adjacent to the DLC lot. The officer made contact with the Suburban’s driver who was identified as Auguste. The officer observed multiple boxes of alcohol in the vehicle which were determined to have been stolen from the DLC. Auguste was arrested by patrol officers and charged with conspiracy to commit second-degree burglary and theft. He was transported to the Central Processing Unit and released on bond. 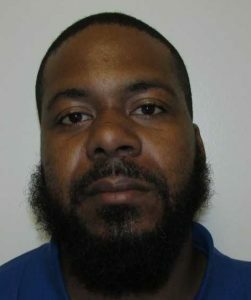 Detectives, with the assistance of patrol officers, developed Snowden, Junior as the suspect who was unlawfully entering the DLC lot, stealing alcohol from trucks, and selling the alcohol on at least one occasion (May 28) to Auguste. Snowden, Junior was arrested today on the strength of a Montgomery County warrant, charging him with theft offenses and malicious destruction of property. He was transported to the Central Processing Unit. Bond information is not available at this time. This entry was posted in Theft, Uncategorized by mcpnews. Bookmark the permalink.